Middlesex Health now offers patients the additional imaging benefits of the GE Healthcare Revolution Frontier with gemstone spectral imaging, a dual energy CT scanner. Dual energy CT scanners use two energy levels to evaluate body tissue. This technology has significant advantages over traditional, single energy CT scanners without exposing patients to additional radiation. During most dual energy CT exams, the radiation dose may actually be lower than traditional single energy scanners. Dual energy CT scanners help cancer patients by both better characterizing lesions and more accurately tracking the size of those lesions over time to determine treatment response. For patients who have had joints replaced, there is better imaging of the bone and soft tissues because the dual energy is used in conjunction with metal artifact reduction software. 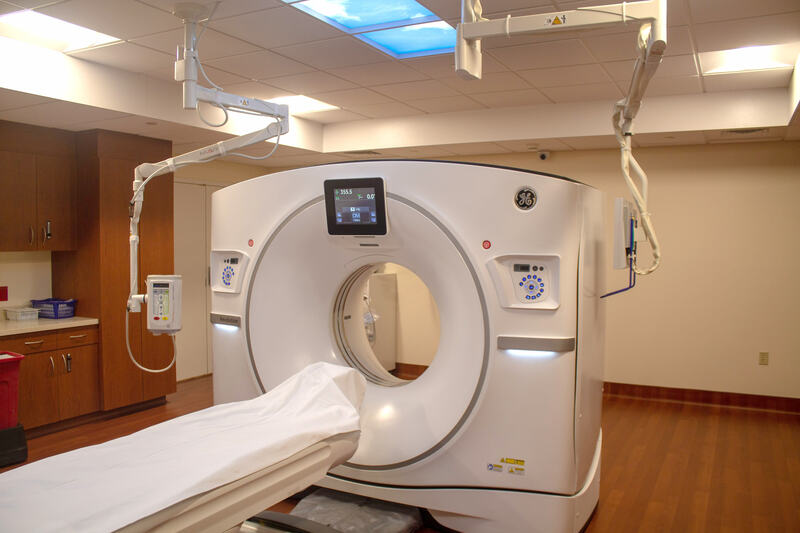 In addition, dual energy CT scanners allow for the use of less intravenous contrast media, a substance that helps improve visibility during scans. This allows patients who previously could not have an intravenous injection of contrast media to now be considered for this type of exam. Dual energy CT scanners can also help determine the composition of a kidney stone. Kidney stones are sometimes made up of different substances, and the composition of a kidney stone could impact your treatment. Middlesex’s first dual energy CT scanner has been installed at Middlesex Hospital in Middletown. Later this year, a second scanner will be installed at Middlesex Health Marlborough Medical Center. In 2021 a dual energy CT scanner will be installed at Middlesex Health Shoreline Medical Center in Westbrook and a second scanner will be installed at Middlesex Hospital. Middlesex Health secures a $1.3 million grant to revamp its records system.